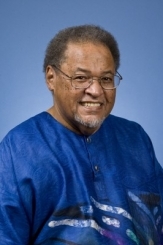 Edmond J. Keller is professor and former chair of Political Science, Director of the UCLA Globalization Research Center-Africa and former Director of the James S. Coleman African Studies Center at the University of California-Los Angeles. He specializes in comparative politics with an emphasis on Africa. Keller received his B.A. in Government from Louisiana State University in New Orleans, and his M.A. and Ph.D. from the University of Wisconsin, Madison. He has taught at Indiana University, Dartmouth College, the University of Wisconsin-Madison, Xavier University (New Orleans), and the University of California-Santa Barbara. Keller has been a visiting research scholar at the Institute for Development Studies (Nairobi, Kenya), the Bureau of Educational Research (Nairobi), the United Nations Economic Commission for Africa, the Africa Institute of South Africa, and the University of California-Berkeley Institute for International Studies. Also, he has consulted widely on issues relating to African Development and public policy, and, more recently, on the process of political transitions in Africa, and on African regional security issues. Among his professional activities, Keller served on the Council of the American Political Science Association (APSA), 2000-2002; and the Executive Committee of the Comparative Politics Section of the APSA, 1996-1998. He has also served on the Editorial Board of the Western Political Science Association and the National Journal of Political Science; as Editor of the Journal of African Policy Studies, and as vice president and president of the African Studies Association. Keller was the recipient of the African Studies Distinguished Africanist Award for 2008. Keller is the author of two monographs: Education, Manpower and Development: The Impact of Educational Policy in Kenya (1980) and Revolutionary Ethiopia: From Empire to People's Republic (1988). Professor Keller has also written more than 50 articles on African and African American politics, and has co-edited four books: Afro-marxist Regimes: Ideology and Public Policy (with Donald Rothchild, 1987); South Africa in Southern Africa: Domestic Change and International Conflict (with Louis Picard, 1989), and Africa in the New International Order: Rethinking State Sovereignty and Regional Security (with Donald Rothchild, 1996). Africa-US Relations: Strategic Encounters (with Donald Rothchild, 2006). Presently Keller's main research is on issues of political transitions in Africa, cultural pluralism and nationalism, and conflict and conflict management in Africa as most recently detailed in his book Identity, Citizenship, and Political Conflict in Africa. Trustee for the Human Community: Ralph J. Bunche, the United Nations, and the Decolonization of Africa. Robert A. Hill (Editor), Edmond J. Keller (Editor). Ralph J. Bunche (1904-1971), winner of the Nobel Peace Prize in 1950, was a key U.S. diplomat in the planning and creation of the United Nations in 1945. In 1947, he was invited to join the permanent UN Secretariat as director of the new Trusteeship Department. In this position, Bunche played a key role in setting up the trusteeship system that provided important impetus for the postwar decolonization ending European control of Africa as well as an international framework for the oversight of the process after the Second World War. Trustee for the Human Community is the first volume to examine the totality of Bunche's unrivaled role in the struggle for African independence both as a key intellectual and an international diplomat and to illuminate it from the broader African American perspective. These commissioned essays examine the full range of Ralph Bunche's involvement in Africa. The scholars explore sensitive political issues, such as Bunche's role in the Congo and his views on the struggle in South Africa. Trustee for the Human Community stands as a monument to the profoundly important role of one of the greatest Americans in one of the greatest political movements in the history of the twentieth century. “Communism, Marxist-Leninism and Socialism in Africa”, Oxford Bibliographies in African Studies. New York: Oxford University Press, 2017.